Torpedio Zanni is so named because this commedia character is constantly running into everything destroying everything in his wake. 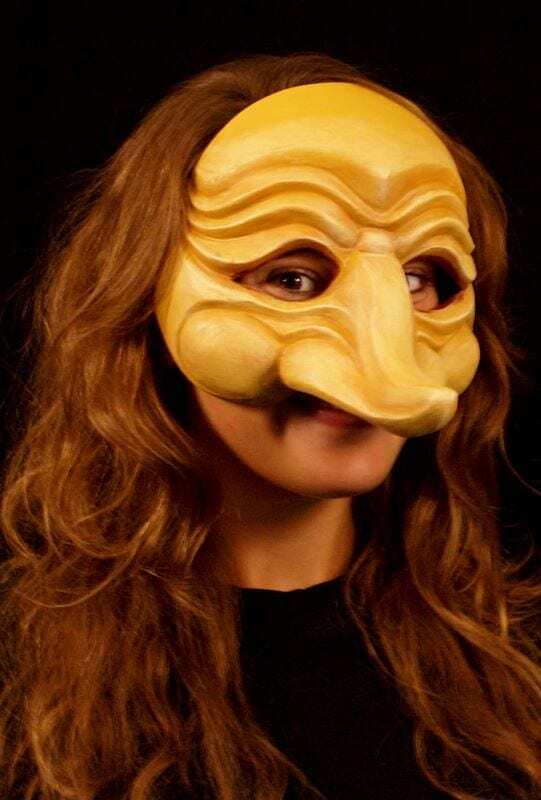 This mask is a very traditional in form with a long upturned nose. 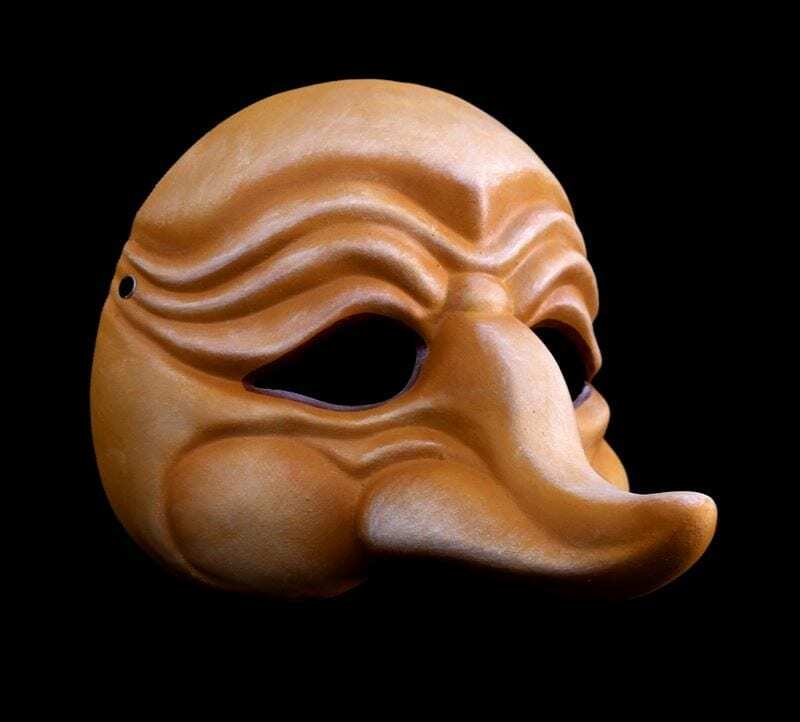 The nose is not as long as one might see on the Zanni masks bought in venice. 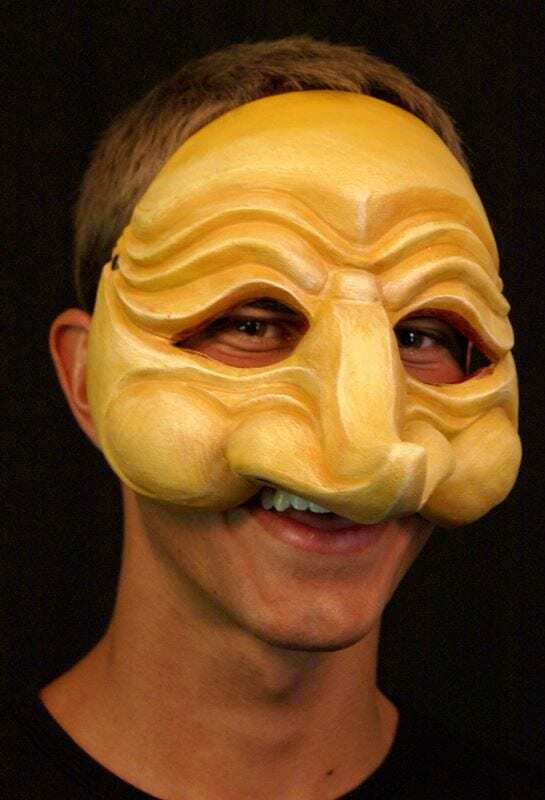 It has been shortened to maintain a greater range of play in the expressive for of the mask. The mask is durable and has an adjustable strap.